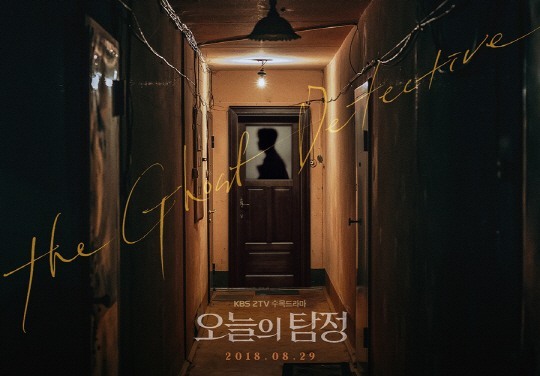 Teaser posters for upcoming KBS2 drama “The Ghost Detector” have been unveiled. The images depict a scary and ominous atmosphere that encapsulates the core of the crime horror, the first episode of which is scheduled to air Aug. 29. One image shows Choi Daniel covered in mud on a field on a rainy night, while another shows a shadow of him across a door at the end of a dark corridor, adding to the general dark vibe of the show. The new series, which will air every Wednesday and Thursday on KBS2, centers on the story involving detective Lee D-il, played by Choi, and his assistant Jung Yeo-wool as the two meet a mysterious woman and take on a bizarre case. The show, which is expected to be this summer’s next horror hit on the small screen, comes from screenwriter Han Ji-wan.